Click on the thumbnail images above to enlarge a picture. 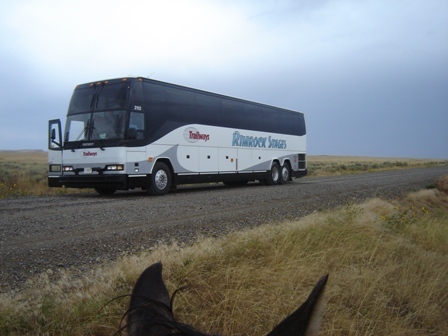 Tour bus holdup and surprise by cowboy bus bandits. 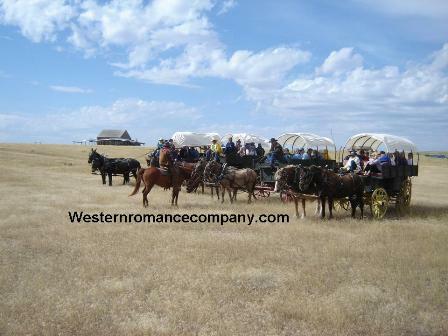 Covered wagon train ride across Montana prairie to Happy Pappy's Chuckwagon Camp where the movies Lonesome Dove and Far and Away were filmed. Historical significance of land and site. 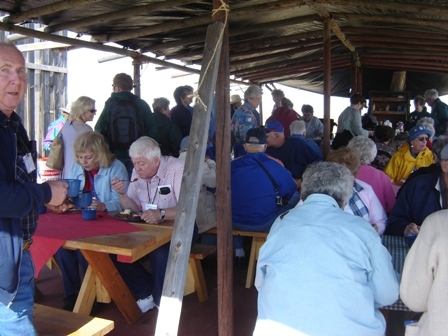 Sample menu: steak, cowboy beans, Indian fry bread, fruit salad, coffee or juice. We are also able to customize your meals to accommodate your needs. Directions The Happy Pappy Holdup (Montana Wagon Train Adventure) is located 25 miles east of Billings, Montana on I-90. Exit Fly Creek Road (Exit 478) and continue one mile north on the left. 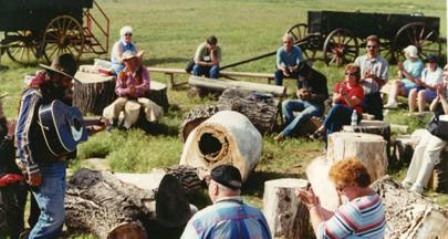 To request more information regarding Happy Pappy's Holdup-Wagon Train Adventures,(dates, times, prices, etc.) please fill out this Form and select "Happy Pappy's Holdup" from the drop down menu given. Check out what others have said about us in the testimonials link. 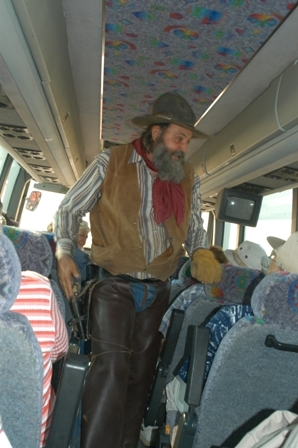 Nearby attractions are Pompey's Pillar Rock to the North and Custer's Battlefield to the South. If your interested in combining all three in one day, please visit the "Whoopah Ride".